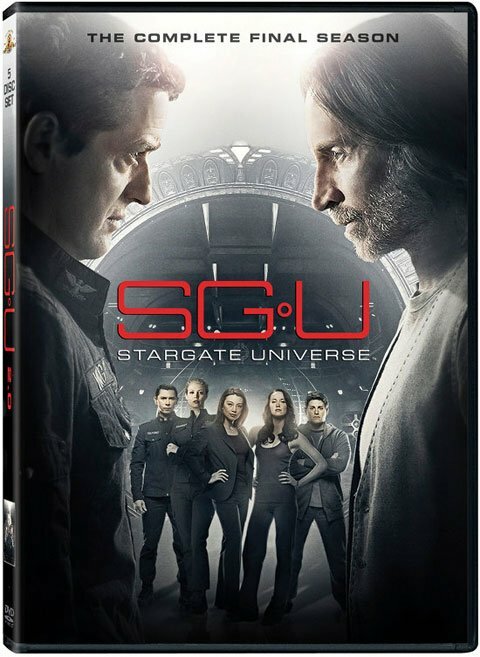 Arguably the most interesting premise of any Stargate series, Stargate: Universe Season 2 is coming to DVD on May 31. If you are into the Stargate franchise, but haven’t seen Universe, check it out—the series is a bit darker and less formulaic than past incarnations of the Stargate idea, but I guess people weren’t ready for it. Following low ratings (Season 2 did worse in the ratings than Syfy’s Eureka), Universe was canceled; however, all twenty episodes of season 2 will live on into infamy in DVD format. There are two strange things about this release. The first is MGM isn’t giving viewers an opportunity to buy Season 2 on Blu-Ray. This is weird because they’ve spent the last few years revamping SG-1 and Atlantis for Blu-Ray release. This is also strange because Season 1 of Universe was widely marketed specifically for Blu-Ray. The second bizarre thing is MGM has decided to not offer a full series release at this juncture. I’m one of those charming fans who hoards complete seasons of anything Syfy whores out to me, so this is disappointing news, indeed. The good news is, the 5-disc set will come with the standard-to-Stargate audio commentaries as well as over 2 hours of extras, including featurettes. Check out the full list below.